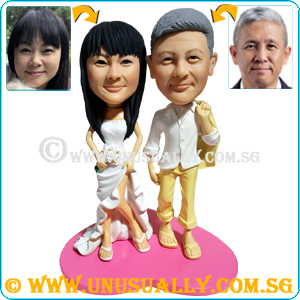 ** Customized acrylic casing will be suitable for single, couple and family figurines. ** Background printing can also be added onto the casing if needed. The cost will be quoted separately. ** Gold or silver metal plate inscription or laser printed color logo & wordings can also be added. If needed, just add this product and select the option accordingly. 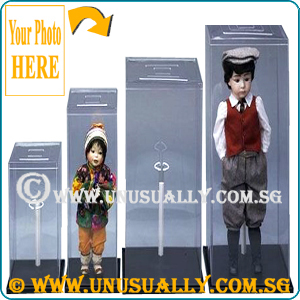 ** If needed metal inscription or laser printed wordings or logo, pls indicate the required wordings under remark. If is a logo, please send us the logo picture in high-resolution quality.